KEARNEY – The University of Nebraska at Kearney will screen “Roma,” which is nominated for 10 Academy Awards, and two other foreign language films during the upcoming UNK@TheWorld series. This year’s film festival, hosted over three months at Kearney’s The World Theatre, 2318 Central Ave., focuses on minority populations and the importance of embracing people from different racial backgrounds. The festival begins Tuesday (Feb. 12) with a 7:30 p.m. screening of “Il a Déjà Tes Yeux” (“He Even Has Your Eyes”), a comedy about a French-African couple, Paul and Sali, who adopt a white baby. 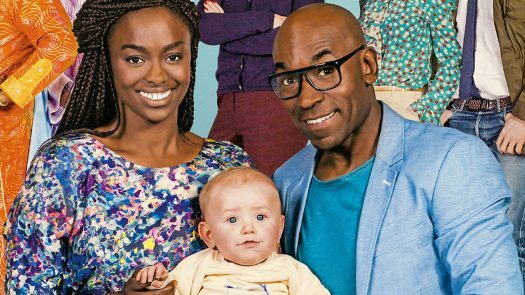 The joy of parenthood is quickly overshadowed by the cold reception the blue-eyed bundle receives from Sali’s Senegalese family, a racist social worker trying to sabotage the adoption and constant questioning of the couple’s parental status. The French film is a lesson in tolerance. Admission to “Il a Déjà Tes Yeux” is free. Sonja Kropp, an associate French professor at UNK, and Briana Woodside and Jamie Reitz with Nebraska Children’s Home Society, which provides adoption, foster care, family support and early childhood education services, will lead a discussion following the film. “Kiltro,” a Chilean martial arts film, will be shown 7:30 p.m. March 5 with free admission. Following the screening, Moisés Park, an assistant Spanish professor at Baylor University, will talk about the portrayal of Asians in Latin American film. The UNK@TheWorld series concludes with three screenings of “Roma” scheduled for 7:30 p.m. April 5-6 and 2 p.m. April 7. Admission is $5 for the public and free for students with a UNK ID. “Roma,” which won Golden Globe Awards for best foreign language film and best director, details a tumultuous year in the life of a white, middle-class family through the perspective of their Mexican live-in housekeeper. The film, set in 1970s Mexico City, is nominated for 10 Academy Awards, including best picture, best actress (Yalitza Aparicio), best supporting actress (Marina de Tavira), best director (Alfonso Cuaron) and best foreign language film. Local scholars of Latin American culture and history will lead the post-show discussion. Doors open an hour prior to showtime for all three films, which are shown with English subtitles. In its sixth season, UNK@TheWorld is sponsored by UNK’s Department of Modern Languages, Department of Sociology, Women’s, Gender and Ethnic Studies, International Studies and the College of Arts and Sciences. The program is funded in part by Humanities Nebraska and the Nebraska Cultural Endowment. UNK@TheWORLD film festival begins Tuesday (Feb. 12) with a 7:30 p.m. screening of “Il a Déjà Tes Yeux” (“He Even Has Your Eyes”), a comedy about a French-African couple who adopt a white baby. The World Theatre, 2318 Central Ave.